Take in the action in our private poker room located in the Lighthouse of the Casino. 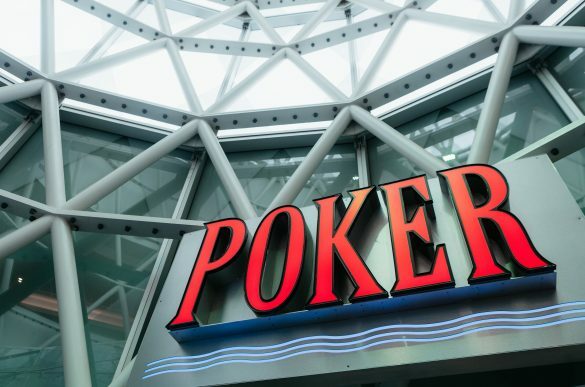 You’ll enjoy a variety of poker games with full-service amenities like food and beverage, dedicated HD plasmas and more! It’s New Brunswick’s true poker experience. Be sure to check out the tournament area below for a complete listing of our upcoming (and ongoing) “action-packed” poker tournaments! Looking to reserve a seat early? Our waiting list is available as of 10:00am daily at the Rewards Club! Players must be present in order to add their names to the list. Casino New Brunswick offers Texas Hold’em and Omaha tournaments and cash games with alterable limits. Our Bad Beat Jackpot and Royal Flush Jackpot are eligible only for Texas Hold’em games. For more information, please contact us at (506) 861-4632.